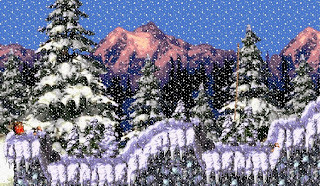 Boxed Pixels: MegaBites, my Sega-gaming nemesis, it's Christmas once more – a time of goodwill and cheer to all. This in mind, I thought I'd transform you into Kris of Super Play fame. How do you like your new look? 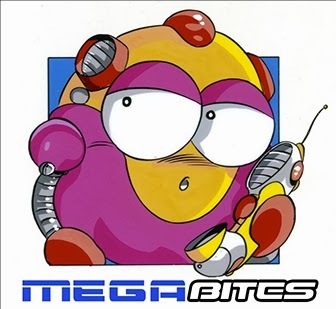 MegaBites: Kris? Super Play? Wasn't that a Super Nintendo magazine? BP: It’s what people had instead of blogs twenty years ago. Though it was much more effort as you had to turn these things called “pages"
BP: MegaBites, a little Twitter bird tells me that this Christmas marks your 20th anniversary as a Mega Drive gamer. Any intention of getting your younger brother to mark the occasion as he did in 1993? BP: For me Christmas was the one time I got to see my games on the big-screen TV – if you indeed consider 22" to be 'big'. Donkey Kong Country looked fantastic on it. You've heard of Donkey Kong Country right? BP: You know, it's that game with pre-rendered graphics that would never have been possible on your beloved Mega Drive. MB: I'm sorry, I must have been too busy eagerly anticipating the blast-processing prowess of Ristar. That's right blast-processing! BP: Is that actually even a thing? Anyway, I'll let you in on a little secret MegaBites, Donkey Kong Country was the last thing I ever got from Father Christmas. For that reason alone, it holds a special place in my heart. Why don't you give it a go? MB: MegaBites? Nintendo? Are you mad?... Only if you promise me one thing. MB: I'll play your Donkey Kong if you play Ristar and write all about it on this blog. Deal? MB: Where's the sick bags? "Back in my day, we used to have real game play. We never had any of this fancy 3-D stuff! Oh no, we had to survive on what we had! And what little we did have, we were happy with! That's right, 4 shades of gray, in a 2x2 character block. Games never looked like this when I was a lad!" – Cranky Kong. Donkey Kong Country, 1994. Deep in the quiet and isolated Warwickshire English countryside sits an old Victorian hall. A dilapidated horse-driven cart stands stationery in the back yard, whilst the hall's serene grounds are scatted by grazing cattle, wading ducks and apple groves. Contrary to first impression, this is not a scene from a Jane Austen novel, nor Charles Dickens. This is 1994, the headquarters of Rare and a rather inconspicuous setting for a software house that is shortly set to revolutionise the gaming industry forever... or for the next couple of years at least. I'll always remember a particular episode of 90s video-game show Bad Influence, where in one feature, presenter Violet Berlin paid a visit Rare's HQ. Inside, she was presented with monitors that displayed pre-rendered wire-framed imagery, slick silicon graphics and a gargantuan piece of computer hardware adorned with a hand-written sticker that simply read 'The Death Star'. My eyes couldn't believe what they were seeing as the feature showcased a meticulously animated primate and his baseball hat-wearing sidekick, as they leaped their way through lush jungle, crashed through caves and dived down into the murky depths. The graphics and level art were simply breathtaking. Surely this was the work of those 32-bit consoles I'd heard so much about, 64-bit at the very most? Wrong, this was a 16-bit affair. The game was Donkey Kong Country. The console? My arch-enemy, the Super Nintendo. As I sat, slack-jawed on the living room sofa, my Mega Drive was most likely upstairs, tying its RF cable into a noose in anticipation. 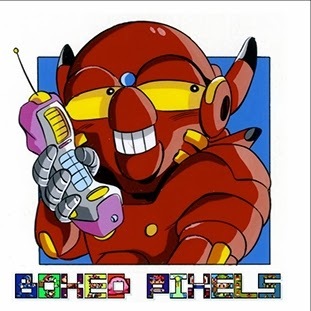 Back in 1994, I had firmly established myself within the Sega camp. My consoles had to be sleek and black, and my games had to be lightning-fast. The words mega, master, chaos and emerald were amongst the most important in my vocabulary. If it was 'produced by or under license from Sega Enterprises Ltd,' you simply couldn't go wrong (**cough** **cough** Shaq-Fu **cough** **cough**). and the thumping electro beats from its Yamaha YM2612 chip, but in 1994 I was just a kid. At that time, I didn't know my sound chips from my oven chips (although, I could probably hazard a guess at which tasted best). Back in those days there was one thing that mattered above all – the Sega Mega Drive was super fast and super cool. When you're 10 years old that's all that matters, right? Nevertheless, thanks to Miss Berlin, the Super Nintendo and Donkey Kong Country had grabbed my attention. I'm not going to lie, but before Mr Hill kindly set me this challenge, my first-hand gameplay experience of Donkey Kong Country was bordering on little-to-non-existent. I'd seen gameplay and screenshots, I'd read all about the game, but the only time I can recall actually playing Donkey Kong Country was in a quick run-through at my local Virgin Megastore, in 1994 – that's it. Essentially, I was approaching the game with fresh eyes. The premise of Donkey Kong Country was plain and simple. Our hero bursts out of his jungle den to discover that his banana hoard has been stolen by the evil croc King K. Rool. It's a total mystery what a carnivorous crocodile would want with a mountain of bananas. Surely it would only be a matter of days before the stash would rot into a sticky brown mush? The King clearly hadn't thought this through. Even so, you're Donkey Kong, you're a gorilla and you love bananas, so there can only be one course of action. 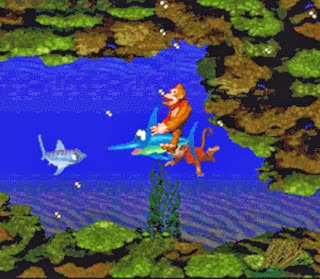 Accompanied by his tiny sidekick Diddy Kong, and with the assistance of numerous animal friends, the player guides the central characters across Donkey Kong Island, through jungles, caves, blizzards and oceans. As the game progresses, the player must defeat a host of banana-hoarding level bosses and pay visits to various members of the Kong family – my personal favourite being the ageing Cranky Kong and his gaming memories, which by today's standards are positively stone age, let alone retro! "I say, you can't better the graphics, sounds and playability of a Game & Watch!" Right, on with the gameplay... Upon the fading of the Rareware and Nintendo logos, I was greeted by Cranky Kong himself, who stood atop a red platform, seemingly harking back to Donkey Kong's arcade days. 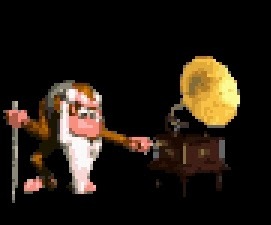 The sequence continues as Cranky stands with a walking stick in hand, turning the mechanism on an old gramophone, tapping his foot to an 8-bit chiptune. 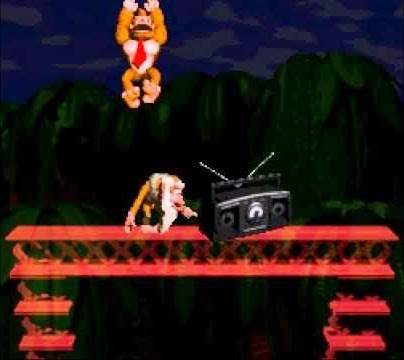 Suddenly, a huge CD subwoofer falls from the sky, knocking Cranky from his platform – it's Donkey Kong. 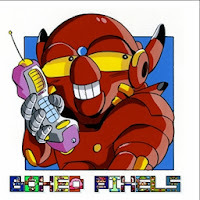 As the scene takes us up into the treetops, the chiptune converts into a Sony SPC700 delight for the ears. The graphics aren't half bad either, as a 3D silicon graphic rendered Donkey Kong dances in the trees... until Cranky seeks his revenge with a TNT loaded barrel. “It's taken 22 man years, 32 MEGS, 32,768 colours and one super computer to make him look this gruesome.” – GamesMaster magazine, October 1994. What struck me the most about Donkey Kong Country wasn't the graphics, nor the CD-ROM-esque soundtrack (though both elements are truly stunning). What stood out for me were the dynamics of the gameplay. I realise it's the soft option, but as a kid, Sonic 2 was my gaming benchmark. It was the very first game I owned on the Mega Drive and was the standard to which all of my early platforming exploits were graded upon, and still are for that matter. The key components to consider when it comes to the early Sonic series' gameplay are two-fold – speed and momentum. In this regard, Donkey Kong Country takes a much more subtle approach. One of my enduring memories of Donkey Kong Country was the close attention I had to pay to the patterns of my enemy's path, choosing the exact moment to pounce. It was almost a fine-art as I stalked my prey, waiting for them to move to the precise area that would allow me to leap, bounce off their carcass and make it onto a platform that would otherwise have been that little bit too difficult to reach. It was a similar scenario in the game's Snow Barrel Blast level, which required near millimetre precision and a hawk-like focus on the enemy's flight paths – a feat that was made all the more difficult by the onslaught of a 14-layer blizzard. Although the snow storm showed no sign of easing, this was a multi-paralax effect that would almost certainly send my Mega Drive into meltdown! 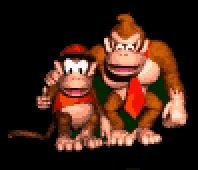 I have to say that I truly enjoyed my time with Donkey Kong Country. My particular highlights being the ice-themed levels and the sporadic aquatic escapades – highly unusual for me as any level that incorporates water or ice is a big no, no in my book. Before we move on, I'd just like to point out one more thing – the Donkey Kong Country opening theme and Ice Cave Chant have to be two of the greatest tunes ever committed to cartridge....... On the Super Nintendo. Right, let's tie this up... SWIFTLY! I would like to conclude where Donkey Kong Country begins – with Cranky Kong. In this ageing simian-protagonist, we see a character completely at odds with progress – a figure reluctant to accept the passing of time and the advancement of technology. 1994 was a year when we were all caught up in a whirlwind of 3D, 32-bit promise, one that ultimately changed the face of the games industry as we knew it. Although Donkey Kong Country played a role realising that turning point, it also sought to bridge the gap between old and new, clinging on to its old-school arcade heritage, reminding us all that, although progress is inevitable, every once in a while it doesn't hurt to look back. For that reason alone, Donkey Kong Country will stand pride of place as one of my Wii Virtual Console downloads of choice. What? You didn't think I'd resort to the Super Nintendo for this, did you? For all things, all memories, all Sega Mega Drive, read more on the MegaBites Blog: megabitesblog.wordpress.com. Great post! Love this crossover theme - the way you've bravely stepped across the line in a truce; puts me in mind of the fabled football game between opposing soldiers on Christmas Day during the First World War. Or. y'know, something a bit more appropriate.